London is a bustling hub of opportunity. The variety of people and places are sure to satisfy those seeking the exciting ‘city life’, but sometimes it can just be too much. A good compromise, then, is countryside living within an hour’s commute to the capital. We asked you to pick the things that appeal the most about villages near London, and have decided on the best countryside near London to match each of these benefits. Why should I love in the countryside instead of the city? Why should I live in the countryside instead of the city? In the top spot, 28% chose peace and quiet as the most persuasive reason to sell your house and move away from the city. 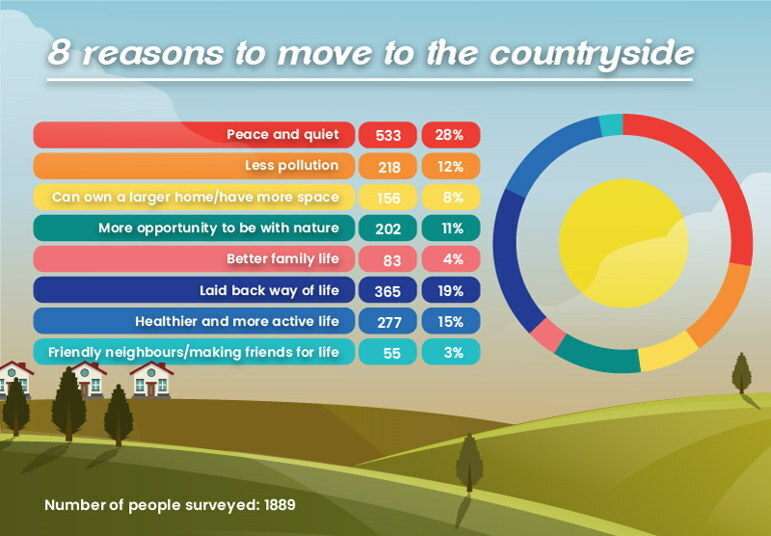 In second place, 19% agree a laid back way of life is the biggest draw of the countryside, unsurprising as a fast paced city life can easily make you stressed. These are followed closely by a healthier and more active life (15%), living with less pollution (12%) and more opportunity to be around nature (11%). The results with the lowest amount of votes are: having more space (8%), a better family life (4%), and making more friends (3%). Regardless of who chose what, we have selected our 8 favourite countryside towns and villages close to London that will fulfil each desire. An affluent village near London, located in the Misbourne Valley, Great Missenden is perfect for peace and quiet, despite being a mere 1 hour 30 minute drive from central London. Its population is a tiny 2000, so you’ll never have to worry about a bad night’s sleep – the only thing you may hear is nature’s song. It is best known as home to the late Roald Dahl and presents a modest number of facilities with a direct commute to the capital- making it a great countryside spot near London. Sitting pretty between the Chiltern Hills and the river Thames, historic civil parish Henley-on-Thames is the embodiment of idyllic countryside life whilst still being within reach of London. It hosts various arts and rowing events all-year-round, as well as quaint shops and a brewery. 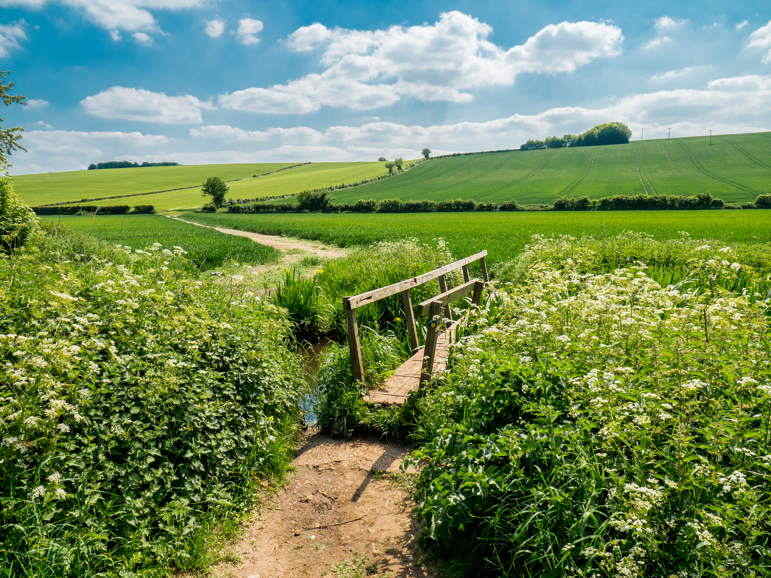 Adventure also calls to you along the many walks and picturesque views the area has to offer, proving it as beautiful countryside near London. Dorking is a warm historic market town placed within the Surrey Hills but within easy reach of the capital. These hills of natural beauty and the nearby open downlands are some of the best countryside walks near London. But while definitely a showstopper, greenery isn’t the only thing on offer in Dorking – there is an array of vintage shops, cafes, restaurants and other amenities to choose from, making it one of the best countryside towns near London. Nestled in a gap in the Chiltern Hills, Tring’s surrounding greenery allows anyone to avoid the harmful toxins of city pollution. Nearby canals and reservoirs also provide the opportunity to immerse yourself in nature, as well plenty of shops, restaurants cafes and bars to have fun in. 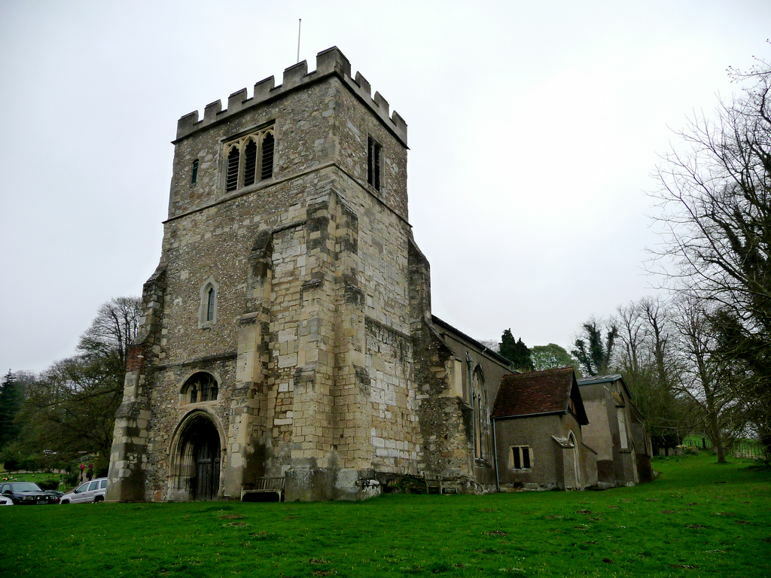 Tring makes the idea of a quick sell and move very appealing, and is definitely a beautiful countryside near London. 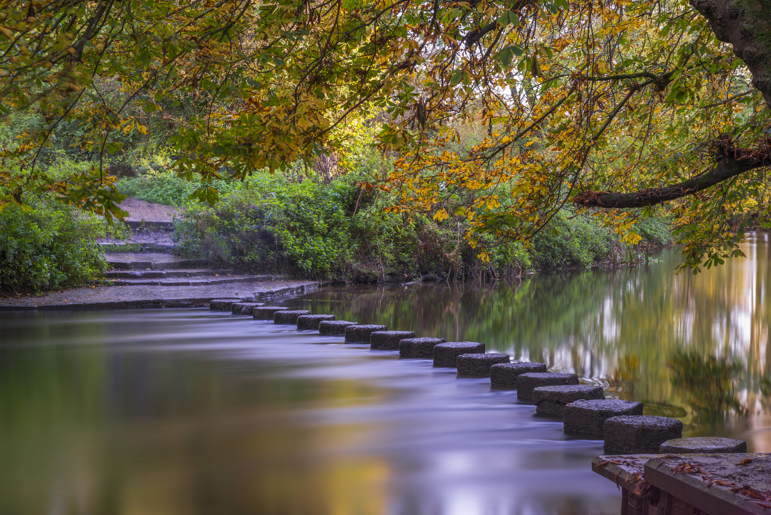 Follow the river Misbourne down from Great Missenden and you arrive at the charming market town of Amersham. 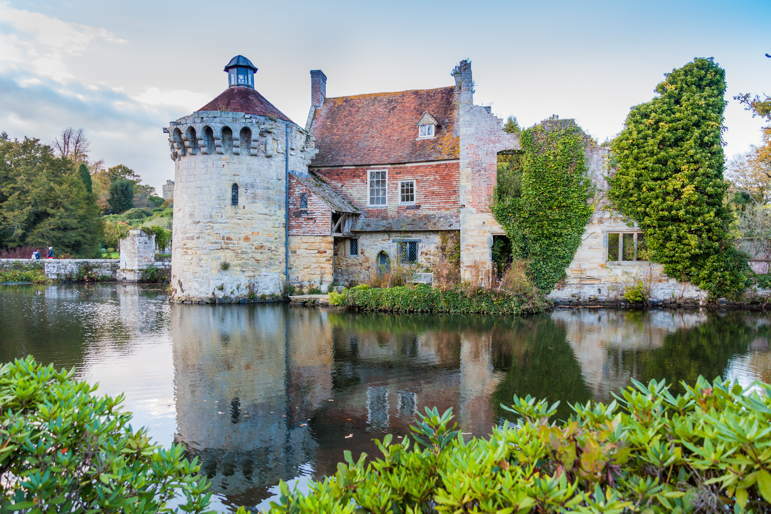 Historical attractions, market halls and leisurely shops means there’s lots to do, but the most appealing thing is its location outside the Chiltern Hills. The opportunities to be with nature are too many to count, and you can always jump straight onto the Metropolitan straight to central London if you need a change. Beaconsfield appeals to many because of its interesting personality. On one side of town, the medieval personality is showcased in Georgian houses and cute cottages. On the other, large (and growing) houses and mansions. There is a property for everyone here in Beaconsfield, and it is in a splendid location for commuters who shouldn’t need to worry any further about downsizing for space or affordability. Beaconsfield is surely a beautiful countryside close to London. In fact, you could be in the centre of the city in just over an hour! Tunbridge Wells is the "perfect stop off between London and the Coast", and the variety of opportunities this town presents makes it fantastic for raising a family. It hosts a variety of parks and historical attractions, shops and activities, and lots of pubs, cafes and restaurants, appealing to a range of ages. Not to mention many outstanding schools. If you are looking to locate to the countryside around London, Tunbridge Wells might make a great choice. The 9000 strong community of Sawbridgeworth will ensure you live among friendly neighbours but still not feel like you’re in the spotlight. The weekly Sawbridgeworth market and delightful selections of antique, food and hobby shops create a hub of community spirit. And it’s still under an hour to commute to the capital by train! 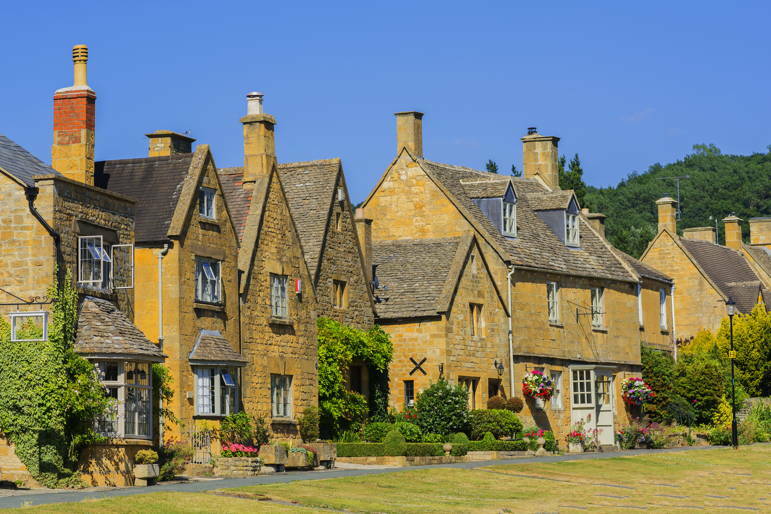 We’re sure that at least one of these beautiful towns and villages will be the best countryside near London for you!